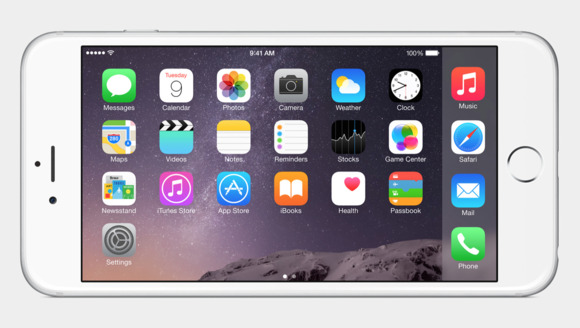 The iPhone 6 Plus is a sizable phone, so large that it doesn’t fit in smaller pockets. But some buyers are finding a problem other than the fit: When they sit down for extended periods of time with the 6 Plus in their front pocket, the 5.5-inch phone bends ever so slightly. The reports first surfaced on the MacRumors forums, where a handful of users have posted photos of their phones’ bent aluminum bodies. The original poster pocketed his 6 Plus for about 18 hours one day, mostly sitting, and provided photo evidence of his space gray phone’s resulting curvature. A MacRumors forum member reported that sitting for about 18 hours resulted in a bent iPhone 6 Plus. The 6 Plus isn’t the first iPhone to launch with complaints out of the gate and it won’t be the last, but it’s unclear if this problem is affecting every one of the devices. I reached out to Apple and will update this story if or when they respond. The common cause seems to be sitting for hours on end with the phone in your pocket. The body of the 6 Plus is crafted out of thin aluminum, which bends under pressure, so it seems unsurprising (though upsetting) that the phone would cave in your pocket. If more 6 Plus buyers report similar bending, we could have an Antennagate situation on our hands. Apple handed out free cases to iPhone 4 users who reported poor reception due to the phone’s antenna placement. As MacRumors noted, iPhone 5 and 5s owners have also experienced the bent phone phenomenon in the past. A hard case seems to prevent the aluminum from flexing. Ironically, smartphone insurance company SquareTrade found that the iPhone 6 and 6 Plus are a couple of the toughest devices around. The 6 Plus bested Samsung’s Galaxy S5 in the large phone category (more than 5 inches), though SquareTrade didn’t test the phones for flexibility, just breakability. Is your 6 Plus a little too flexible for your liking? Let us know in the comments.